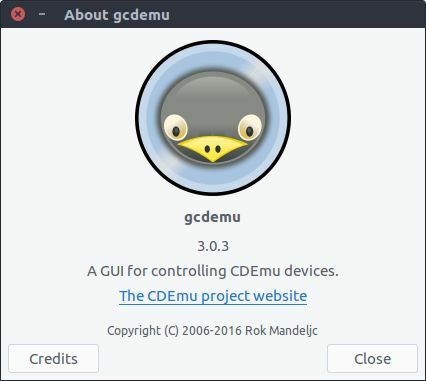 CDemu is a free software tool for linux and it is released under GNU GPL v2. It is used to emulate an optical virtual drive and CD-ROMs/DVD-ROMs. It also supports auto-mounting feature. It uses a virtual drive-controller, libmirage, a daemon, textmode and GTK clients. To install CDemu on ubuntu, you need to add theme authors’s personal repository. Open terminal and run the below command. Then type your ubuntu password.And hit enter key confirm the installation. Then type the below command and hit enter to install the CDemu. After the successful installation of CDemu restart your ubuntu. To start it, click the Dash home from unity launcher. And type CDemu in the search field.Then click gCDemu.